He told Abraham and Sarah they were going to have a child. He told them they would be the beginning of a new generation. He told them they were going to be the start of a new people! I was at church yesterday listening to the story of Abraham and Sarah again. Remember?? Remember when Sarah offered up the maidservant HAGAR? WOW!! Can you believe that? I mean I heard the story before, but I guess I never really thought of it in real life terms. God promises Abraham that he would be the father of many nations, but both Sarah and Abraham realized their age would prohibit them from having kids. You can't do that? You can't have kids when you're 100!! It just doesn't work that way. It's not physically possible. 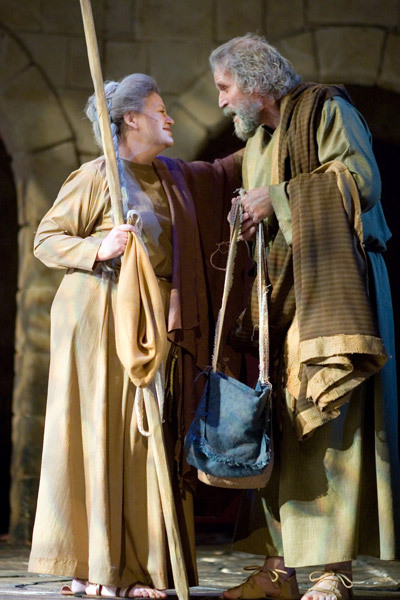 So Sarah offers up the younger Hagar to her husband, and tries to preempt God's plan. She thought God forgot, or didn't understand biology anymore. So Sarah and Abraham, trying to stay true to God's word, took matters in their own hands. And how can we blame them? I mean, come on!! If God promised you something, and you just waited and waited and waited, wouldn't you wonder if it was your responsibility to do something to help the process along? I often wonder how much human role plays into God's ultimate plan, versus, how much we should just sit and wait. The story is in Genesis 11-18, so go check it out. Today I'm just praying…God give me the patience to wait on the plans you have for me. I know they're perfect, and in Your right timing, are BEST!!!! Sure enough, it worked out for Abraham. He and Sarah gave birth to a son, at 100!!! He didn't forsake His promise. He knew the plans He had for them. And eventually, He came through. His plan is perfect, but sometimes His timing is perfectly strange. Previous Incredible new study shows Teens want more!! Next Can You Imagine Being Thought of As Righteous By God? Thank you for reminding me of our father and mother of faith. For God is not in time but we are. A day to the Lord is a thousand years and a thousand years is as one day.